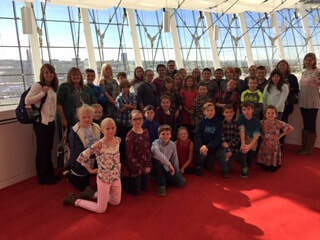 On Wed., Oct 17th, Miami Elementary 4th, 5th, and 6th graders took a field trip to the Kauffman Center for the Performing Arts. The program tied language arts and music together and showed how authors of books and composers of music use many of the same aspects in their creations. Miami FFA and the community have recently completed the successful corn harvest of the Miami FFA research farm located at the school. The Miami agriculture students have learned and participated in collecting soil sample’s and sent them off for analysis by Missouri University Extension. 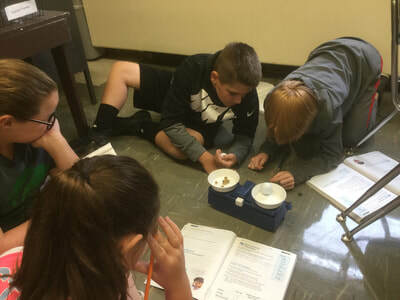 They also gathered information from the analysis for fertilizer recommendation to use on the corn crop and learned how to determine the amounts needed for application. The students also received input from the Beck seed agronomist on how to utilize fertilizer to optimize the production for the 2018 corn crop. Students utilized the USDA Soil Survey website to map the acreage and analyze the soil types on the farm. They had some plot hybrids average over 190 bushel/acre, with the whole field averaging 150 bushel/acre.. With the cooperation of many surrounding community businesses, the project was a complete success. Tidman Land & Cattle supplied the equipment and labor for fertilizer, tilling, seeding, and harvest. Nieder Seed Sales and Beck Seed provided the seed for all test plots and test equipment, as well as their expertise of harvest information. Heiman Agri-Services sponsored the fertilizer and McCulley Farms sponsored the chemical spray and application. Miami FFA would also like to thank Addleman Farms for their support on trucking and marketing of the grain. 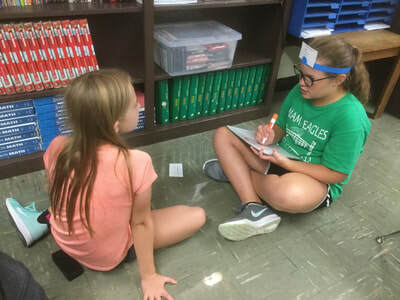 The students not only gained hands-on experience in production of row crop farming, they also used the financial information to keep records on all of the input costs and receipts, so they could better understand corn production as a business in Bates County. Miami FFA will utilize any profits from the 7.5 acres to expand the opportunities of its students with career and leadership experiences through the 2018-2019 calendar year. Currently, Miami FFA will have 5 students travel to Indianapolis, Indiana to National Convention October 24 thru the 27th. Miami FFA thanks Heritage Tractor for their support in the project and all community members for their support of the FFA. Congratulations to our Miami Elementary Eagles Volleyball Team on a very successful season! They were undefeated leading up to the tournaments this weekend! A few of the Miami Band students are co-opping with Drexel Pep Band for Friday night games. 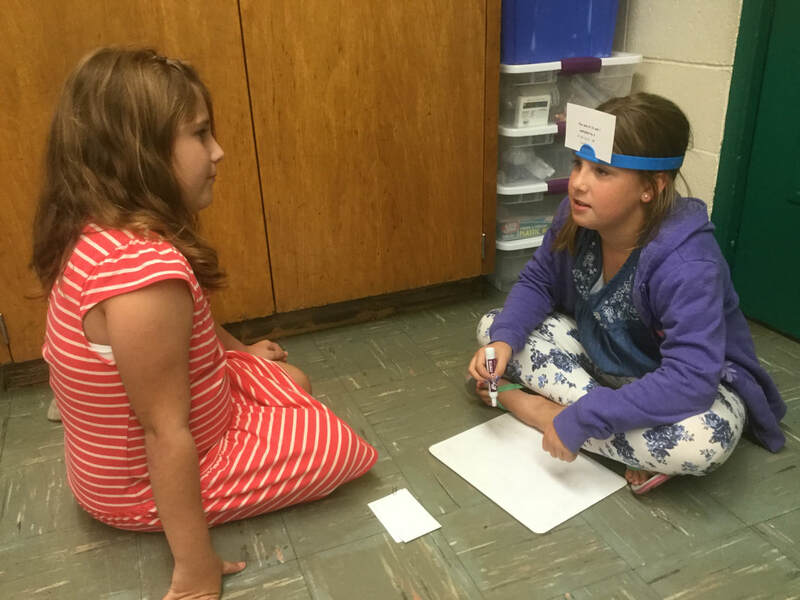 5th Grade "Headbanz" game with math expressions and finding mass in science. The 4th graders helped in the Miami Ag Science 1 class in the learning garden today! The 4th graders built a freestanding structure using spaghetti, tape, yarn, and a marshmallow. The goal was to build the tallest structure with the marshmallow on top of it. They didn't even mind that it was in the dark. Miami JH Quiz Bowl team won 2 out of 3 matches and our HS team won 3 out of 3 matches at Sheldon tonight! David Gonzalez (Junior) auditioned for and made the West Central Missouri Music Educators Association's District Choir. He traveled to Oak Grove High School on Saturday to perform in the choir! A professional composer of choir literature, Ryan Main, was the clinician for the event. David enjoys seeing old friends he’s met through the years as he attends these choir events. Congratulations David! The Miami FFA Officer Team traveled to Warrensburg yesterday afternoon to compete in the FFA Ritual Contest! Congratulations to Miami Jr., David Gonzalez, who auditioned for and was selected to sing Bass in the West Central Missouri Music Educators Association All-District Choir. Requirements were to sing a solo and take a music quiz in a blind audition. David will perform with other top 11 and 12th grade singers on Oct. 13th at Oak Grove High School and is eligible to try out for All-State which will perform at the MMEA music convention at Tan-Tar-A in January. Nathan Hines was the first Nevada Regional Tech Center Construction Technology student to complete the OSHA Certification!! He’s ready to start building! Way to go, Nathan! Miami and NRTC are proud of you! First grade Egg Drop STEM project. 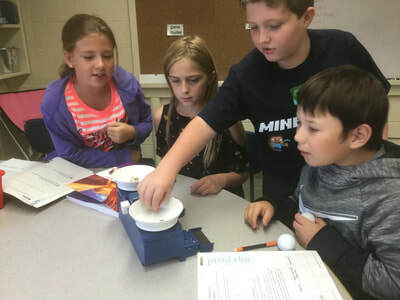 The students read Jack and and Beanstalk and then had to create a device that would safely help the giant and Jack deliver the golden eggs. Welcome to Miami Class of 2032! This was their first day of preschool!